1. Enhance the warmth and beauty of the home. For universal appeal and a modern look, it is best to select simple drapery rods and hardware with clean lines, which also coordinate with other metal finishes throughout the home. 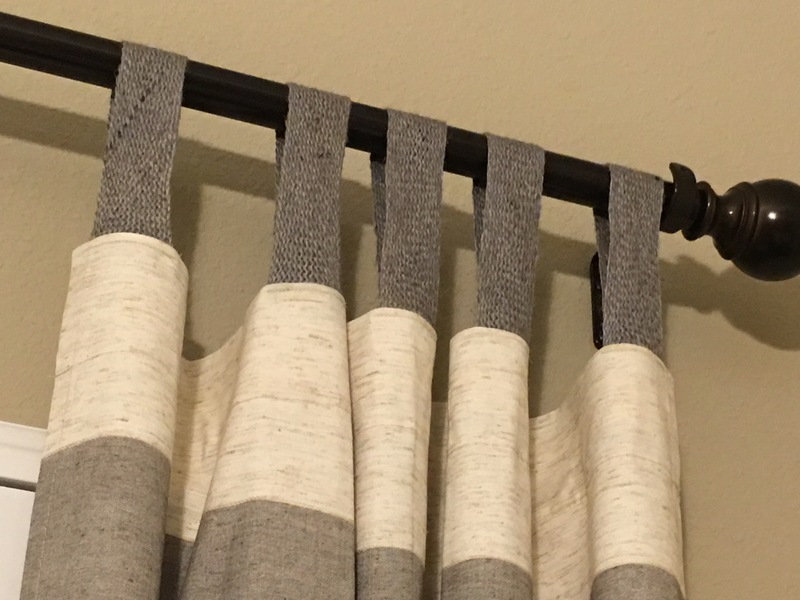 If the cabinet pulls and towel bars are brushed nickel, then the drapery rods should match. We can mix metallic finishes when selecting accessories for the room, but matching finishes is what buyers will desire with more permanent elements in the home. Hanging treatments as high as possible will draw attention to the height of the ceilings and beautiful crown moldings. These features have high market appeal and need to be a focal point for buyers in photos and in person. Selecting a neutral color or classic pattern that matches the style of the home is also important when choosing to dress the windows. Even better, select treatments that will remain coordinated with the room after the home is sold. 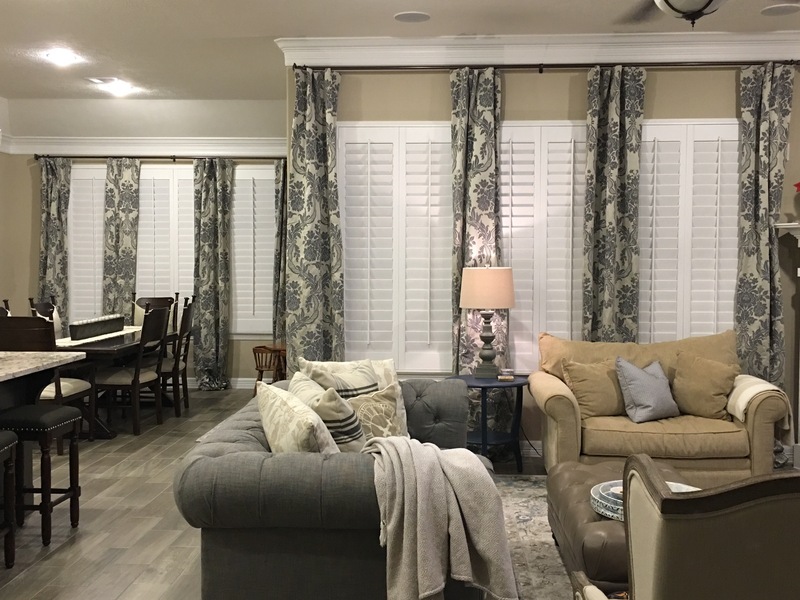 It is usually best to stick to solids when selecting window treatments for a home that is on the market; however, classic patterns in neutral tones can work as well, too, such as stripes and damask prints. 2. Offer solutions to asymmetrical or awkward features of the home. Drapery panels can be used to create balance when dressing windows with asymmetrical placement. I often see this issue in Master Bedrooms and Breakfast Rooms, where an asymmetrical bay window grouping includes a French door on one side, and a window on the other. Hanging a valance much higher than the window, or hanging drapes wider than the window casing, helps windows to appear larger and makes a grander statement. Panels hung between windows will create a continuous appearance and highlights a desirable view without obstructing it. Don’t be afraid to hang drapery panels around awkward half-moon windows. These windows were very popular in the 90’s, but home owners almost never know how to address them, and most buyers do not appreciate them. Strategic placement of attractive panels updates the look and offers buyers a solution to the awkward window. 3. Allow sufficient light to enter the home. Buyers desire homes with endless natural light. Ensuring window treatments, including shutters and blinds, are sufficiently open prior to showings is imperative when selling. Sheer panels are a good option for letting the most light in, while distracting buyers from an undesirable view. Here we go again with those dreaded half-moon windows…the sheer fan shade is functional for room darkening and privacy, especially in a bedroom; however, this look is dated and obstructs too much natural light for market appeal. It is best to leave it naked, or hang panels on either side to update the room’s appearance. 4. Look expensive without blowing your budget. Are they lined? Although you will be keeping the draperies open for MLS photos and all showings, lined window treatments are best. When drapery panels and valences are lined, they hang better and look more expensive. 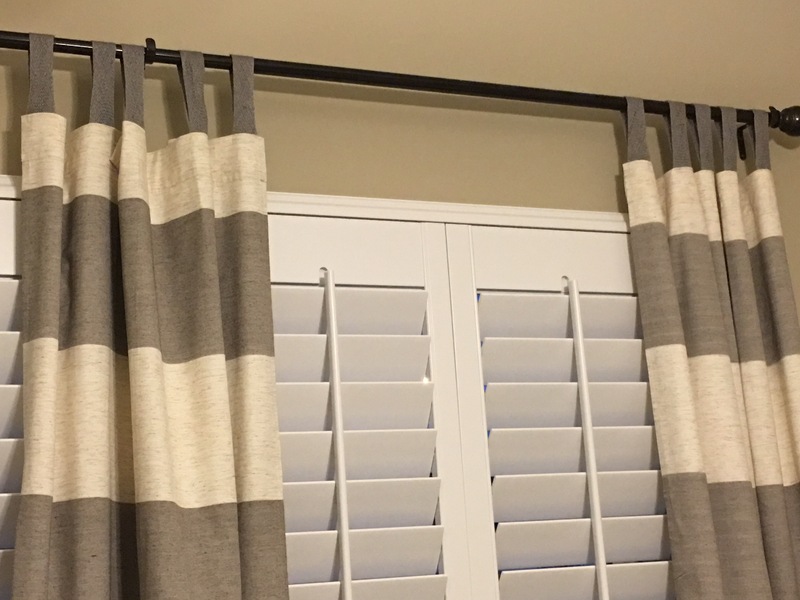 Add tabs, rope or other decorative trim to the top of the panel or valance. 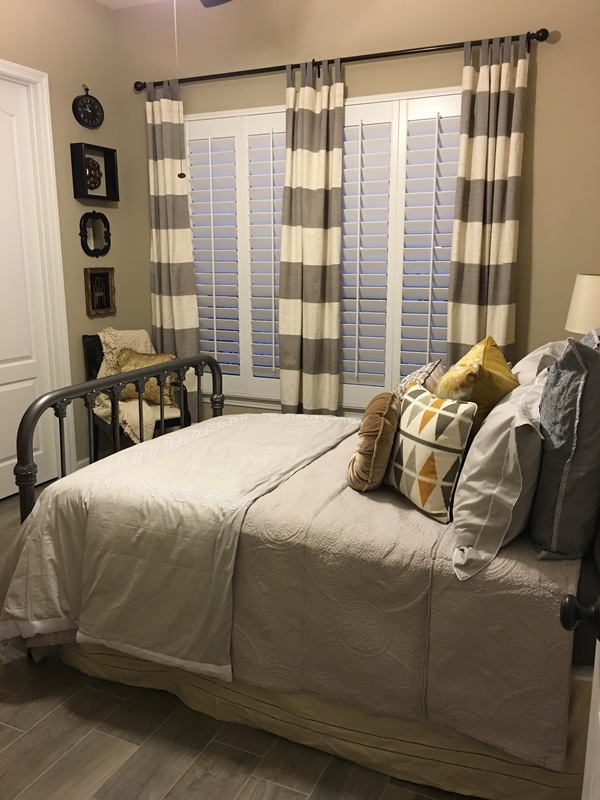 In was able to add 4 inches to the striped panels shown in this guest room. Add a coordinating border of fabric or a fringe-style trim to the bottom of the panel or valance to add length. These two tricks require beginner-level sewing skills; however, if you are lacking seamstress potential and/or access to a sewing machine, your local tailor/alterations shop will be happy to help you for a nominal fee. Alternatively, if you are in a hurry and want a quick solution, heat-set hemming tape can do the trick, with the help of an iron. Do they add value? Mini blinds look cheap, and vertical blinds look dated. Upgrading and updating these types of window treatments does not have to break the bank. Classic, real wood shutters are a great because they never go out of style and can add value to the home. However, they are not always a realistic option due to cost and market analysis. Faux wood blinds are a great option and can be purchased at the local home/hardware big box store for about $40 per window. The store will even trim the width to your exact measurements for FREE with the purchase. Choose the classic style in white with 2-inch slats for the best buyer appeal. Strategically dressing the windows is an important step to take when preparing a home to sell, making the ordinary more special in an instant. When styled correctly, window treatments can be a stager’s strongest ally.